The STUDIO is more than a collaborative work-space. It is also a wonderfully supportive environment where others come to learn, explore their creativity and spend time with other creatives. When I moved my business from my home to a space in the Anderson Arts Building I did not do it alone. I made a conscious decision that part of the move meant that I would share in a creative community. I wanted The STUDIO to be a community as well. A place where I could share ideas and dreams, successes and failures as well as techniques and knowledge. Each of my students and the resident artists that I share the space with tell me that it not only works, it has been beneficial to each individuals well being. My guess it that it all comes down to being true to my values and nurturing them. It is important that each and every person who walks through the door feels that The STUDIO is a place where they can be free to express themselves, ask questions, make mistakes and share their successes. Being creative is part of what make us human. Creativity nurtures the soul, makes us take notice of the world around us in different ways. Each and every human has their own unique way of expressing that creativity. 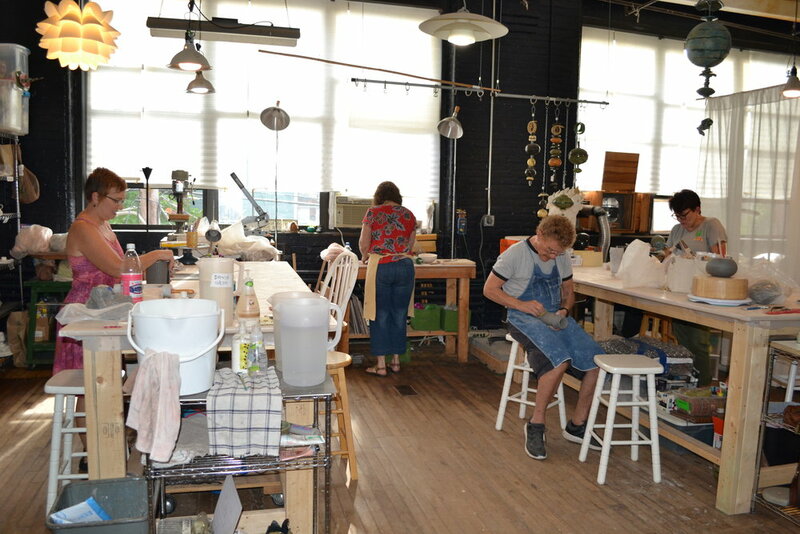 The STUDIO Rochester gives them the time, space and knowledge to do just that. 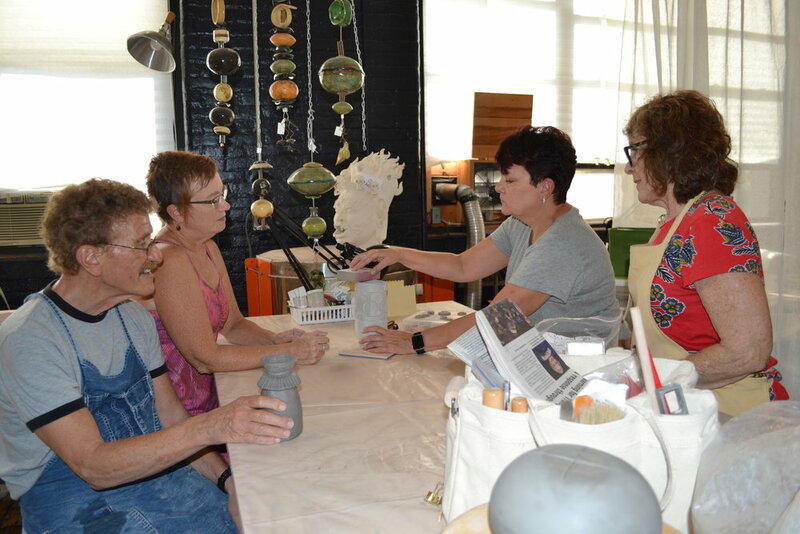 Collaboration helps everyone to learn new techniques about hand-crafted ceramics. Wednesday Full Day Class at The Studio Rochester.